I am ... happy to see Wiltshire Council and their "Improving Wiltshire's Rail Offering" project offering on line information, and I am delighted that they are also proactively visiting many residents and helping them learn about the best travel and journey options. Some of their Transport Planner are really excellent folks, and they can do far better than the current Beta version of the Transport Planner. For the last few days, I have been working on the Aztec West business park in Bristol, right next door to the offices of Atkins who are Wiltshire Council's consultants for much of the work on this project. I've had experiences driving to that part of North Bristol before - it's awful, and so I decided to use public transport. Where do I get the best advise for a journey that involves cycling to the station to catch a train? On Wednesday, I drove to Melksham Station and parked up for the 06:38 train. At 06:39 a freight train went through, and a phone call to National Rail informed me that the 06:38 would arrive too late to make the connection at Trownbridge, so I drove all the way. I siply couldn't afford to be late on the first day of a new job / course. On Thursday ... I walked to the station and took the train. So what does the online travel planner at Connecting Wiltshire tell me for an 09:00 arrival? I'm sorry - that would put me completely OFF public transport. The idiocies in what should be a pretty standard commute from Melksham to North Bristol (Aztec West, Filton Abbey Wood, etc) are too numerous to list out, and the results had me leaving home a full 8 hours before I needed to, and taking 4.5 hours for a 2 hour journey. That's not constructive criticism, though - what would I recommend? c) • That walk times are split into "walk time" and "wait time"
... Did you know that 80% of passengers from Chippenham Station arrive there in a car? g) • Regrettably, public transport is sometimes delayed and occasionally cancelled. Wouldn't it be good if the system could store your route under a reference, and offered a mobile app through which you could call up alternatives if you got off one bus just to see your connection disappearing up the road! Actually - I am heartened in some ways. Wiltshire Council's travel advisors have information sources that let them deal with (a) through (e) during face to face work, and they have some knowledge that will help them advise on price too. And they'll typically have a pretty good idea of servicce frequency so that they can offer advise on using frequent services only on critical journeys. Travel Advisor Advise is available in Bradford-on-Avon ... and Trowbridge. And Salisbury and Chippenham. But not in Melksham. Hmmm - and that's probably a good thing - let's have that travel advise in 14 weeks time, and let's train up the TIC's volunteers too so that they can carry on offering excellent public transport advise long after the current program has finished. Python varables - checking existance, and call by name or by value? What do people use the bus for in Wiltshire - survey interim results. What would the Wiltshire Council bus cuts mean for Melksham? PC Plod - alive and scaremongering in Wiltshire? Should we get an AA or Visit Wiltshire hotel assessment? Wiltshire Police - assuming someone is guilty just on the say-so of a member of the public? Wiltshire and Melksham Transport - what is going on? Rail services in Wiltshire - up in the air? We need to say what is best required. 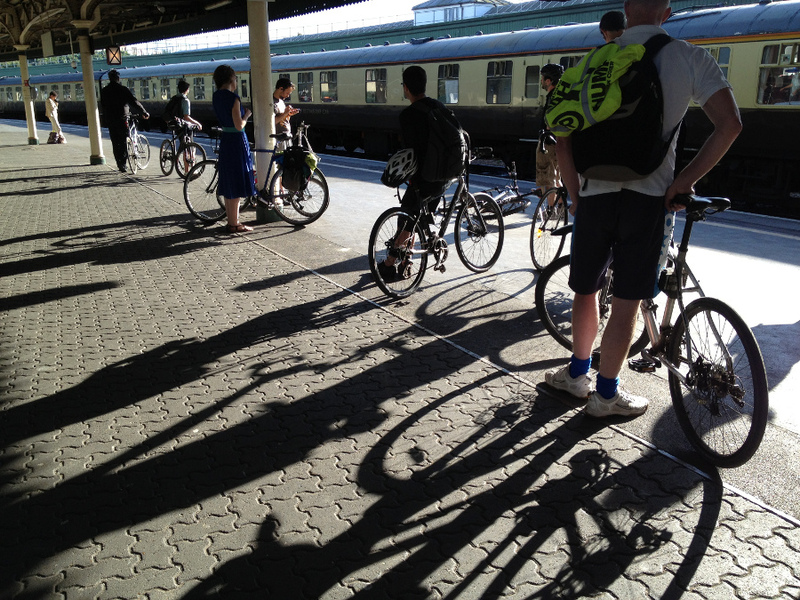 Want to help us improve transport in Wiltshire? Here is how! The Information age - not yet truly with us? 2011 Census results - initial figures for Wiltshire. Rail Travel - has it become more unreliable? Transport in Cambridgeshire - seen by an outside observer. What can Wiltshire learn? Gathering information - logging - with log4j. First steps. Cheap Country Hotel in Melksham, Wiltshire? Getting into and out of Wiltshire towns .. a.k.a. Car Parking?